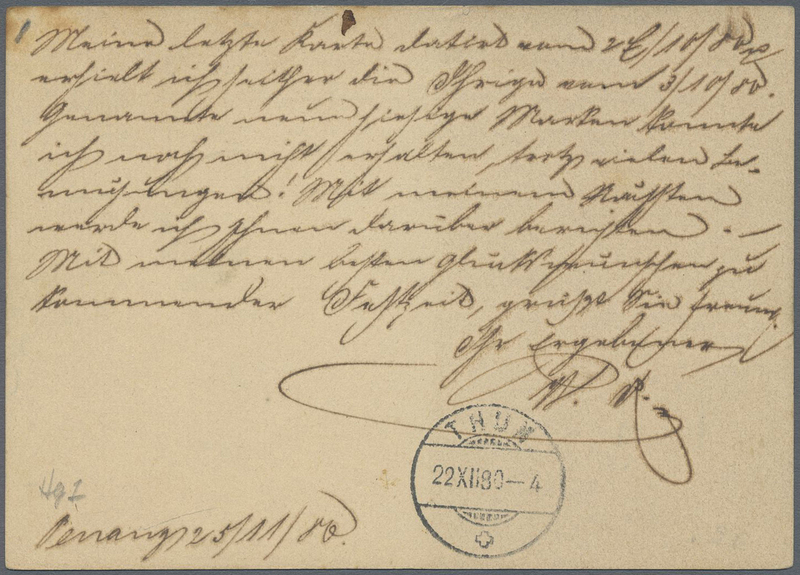 1880 (26 Nov.): Postal stationery card 3c. 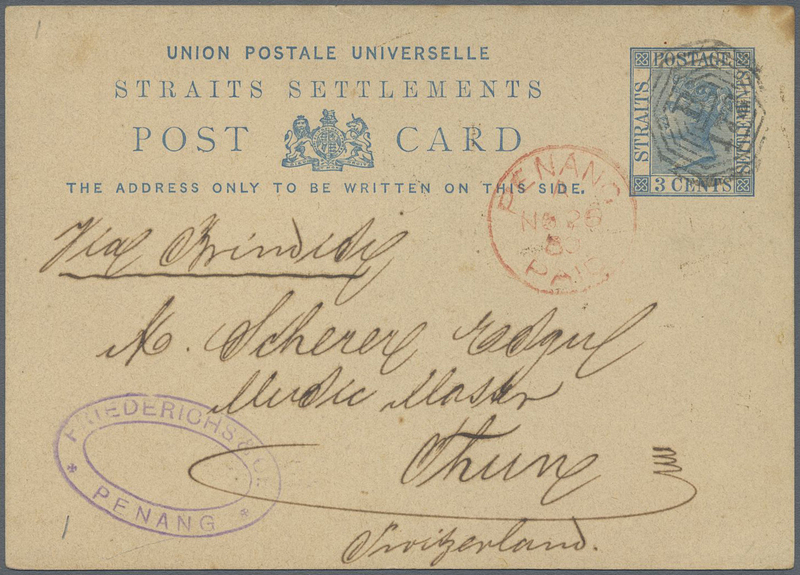 blue of Straits Settlement used from Penang to Thun, Switzerland and cancelled by numeral "B/172" which came from Singapore and was used in Penang from 1874-1884, red "PENANG/A/NO 26/80/PAID" cds and sender oval alongside, Thun '22 Dec 80' arrival cds on the reverse, with toned top right corner but still fine. A scarce cancellation and destination.